No. 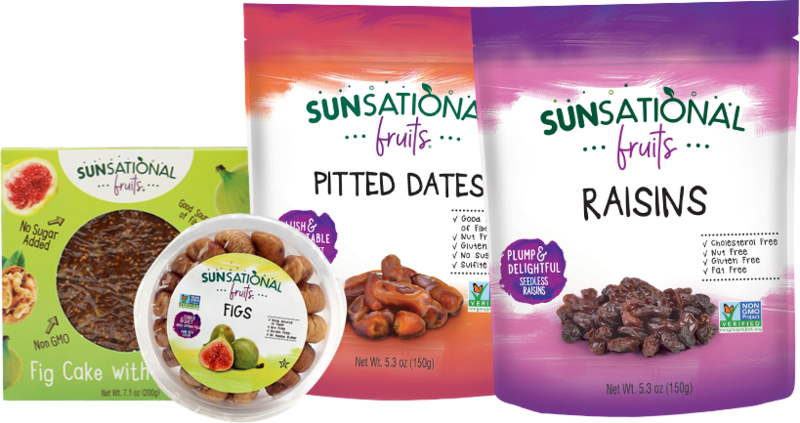 There is no added sugar in Sunsational Fruits® Dried Fruits. Are Sunsational Fruits Dried Fruits Kosher? With the exception of mulberries, all of our other fruits are Star-K Kosher. What is the White Coating on my dried Fig? White crystals seen on figs are natural sugar that migrates to the surface of the fig. It is often confused with mold. However, this is not mold, but simply a naturally occurring ingredient and the figs are perfectly safe for you to eat. © 2019 Sunsational Fruits by Safe Foods Corporation.